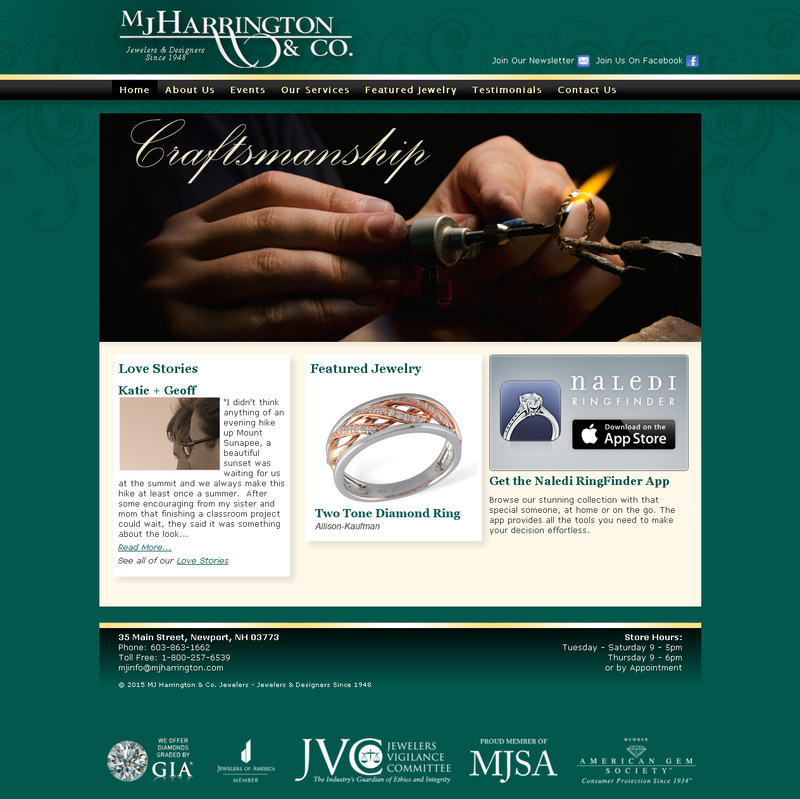 MJ Harrington & Co. Jewelers is a small town, family owned jewelry store in Newport, NH, committed to craftsmanship, quality service, and their community since 1948. I designed this Joomla powered website in collaboration with Alicia Bergeron and just love the beautiful rich design we came up with. The site has several customized sections driven by custom made Joomla modules, like love stories, featured jewelry, and testimonials that support modified layouts and functionality. One of my favorite parts of this project is the faint swirls we used in the background. This was a first for me, but have used this technique several times since then. Do you see them?